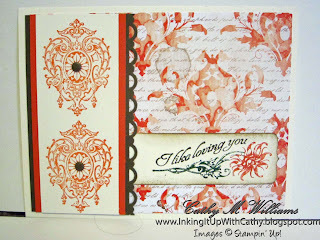 Here is another card that I made using the Venetian Romance designer papers and the Lovely Romance stamp set. What did you do on the inside of the card....? I love seeing that. You need to make a site for how to decorate the inside of cards!!!! Thanks for the wonderful comment Cindy! These were convention swaps so they were just card fronts - not whole cards. 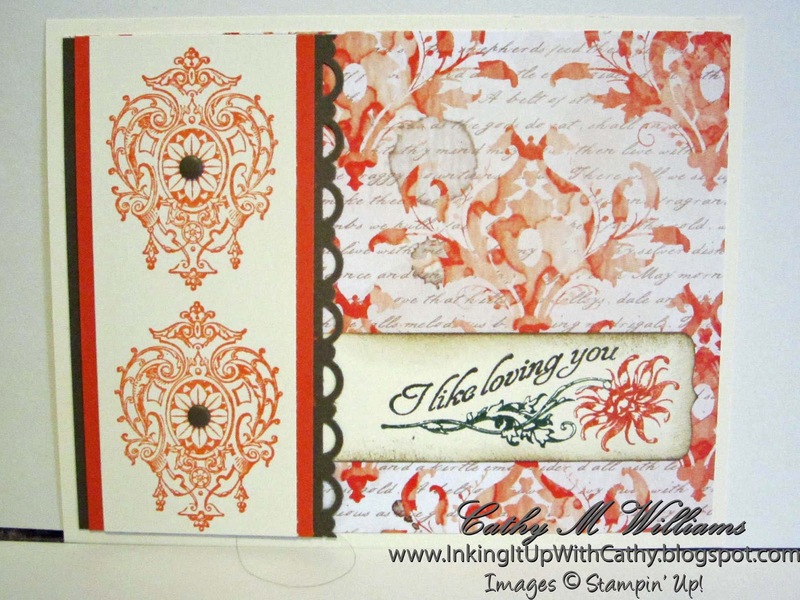 However, if I were to do the inside of this card, I would probably do the flower and step in the bottom left corner and the other design very faintly behind the sentiment - kind of like a watermark. Try that and let me know how you like it.